You can use AFerry to book a Color Line ferry to Germany, Norway, Denmark and Sweden. Color Line's modern ferries offer the upmost in terms of passenger comfort and their full range of on board facilities will ensure your trip passes quickly and comfortably. AFerry always has cheap prices for Color Line ferries and the latest special offers. 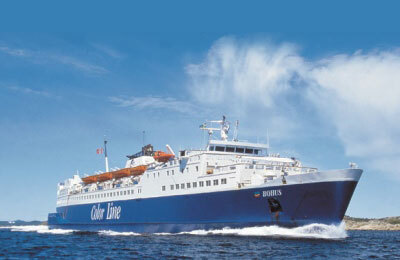 You can use AFerry to book Color Line ferries to Oslo, Hirtshals, Kristiansand, Larvik, Kiel, Sandefjord and Stromstad. See below for the latest Color Line ferry prices and sailing times. Click on your ferry route for a detailed Color Line timetable. Color Line operates six modern ships, including cruise ships, a high-speed passenger ferry and a cargo ship. On board you will find all categories of restaurants serving hot food and snacks as well as large tax-free shops with a wide selection of goods. You can book a wide range of Color Line cabins, from the very spacious five-star Color Class suites to their more modest but very comfortable one-star cabins. Whether you travel on the Color Line Oslo Kiel route, the Color Line Sandefjord Stromstad route, the Color Line Hirtshals Larvik or any other Color Line ferry route, you are bound to have a pleasant and relaxing journey. So what are you waiting for? Book now. How long before departure should I arrive for Color Line?